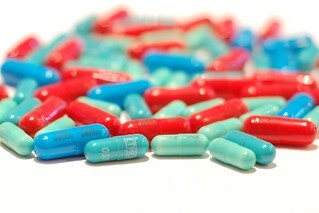 Home › Health › Are Generic Drugs as Safe as You Think? Generic drugs are often looked at as a cost-saving medication that performs as well as the original. Many pharmaceutical companies claim that the generic version of their drugs is equal to the prototype in potency and performance. Insurance companies encourage the use of generic remedy as a way to save money. However, what they fail to tell you is that most generic drugs are manufactured in countries that do not have the same regulations and safety standards found in the United States. It is not uncommon for prescription drugs to be pulled from the shelf due to health scares. For example, Lipitor is a cholesterol fighting medication that is among the most widely used pharmaceutical in the world. Since it has become available as a generic, many people switched to the lower cost option. These patients were under the belief that the new medication was safe and effective. The new generic drug is manufactured by a pharmaceutical company based in India. This company has already had many issues with the Food and Drug Administration (FDA) regarding quality and safety issues of their medications. In 2009, the FDA even placed a special warning on products manufactured by this company, requiring them to send samples to the FDA prior to allowing importation of their medications. Regardless of this warning, the FDA has still allowed many of their medicines to enter this country. In 2011, the company was forced to recall their version of Lipitor due to quality issues. It appeared that the medication was not consistent from pill to pill and consumers were receiving varying doses of the medication. This problem was corrected and the company was allowed to continue to import the generic drug. In 2013, a total recall of their generic Lipitor was issued by the FDA because the samples sent for inspection contained shards of glass within each pill. Currently, the medication is not available. • Contact your doctor immediately – You need to stop taking the medication and will need to speak to you doctor to ensure that you can stop without harm. Some medications can be dangerous if stopped “cold-turkey.” Talk to your doctor and tell them what is happening and have your prescription changed. • Contact a personal injury attorney – Pharmaceutical companies have the duty to provide a product that will not harm the consumer. Failure to do so is an act of negligence, and as a victim of this negligence, you are entitled to receive compensation for you injuries. This task can be very daunting; a good legal counselor will use their experience to maneuver these tricky waters. According to Minnesota injury attorney Kevin W. Devore, “Guiding you through the legal maze” should be the objective of any legal counsel you choose to help during this difficult time. • Report the incident to the FDA – While your doctor or attorney may already complete this task, you should contact the FDA and report the adverse event directly. Your report could help save lives. Medications are not meant to harm you, they are meant to heal. In most cases, generic equivalents perform well and do not injure the patient. However, it is not unusual for there to be some differences in the products, and users of generic drugs should watch for any signs or symptoms that their medicine is not working properly. Jamica Bell is a freelance writer who contributes this article to shed some light on the dangers of generic drugs. For nearly a decade Minnesota injury attorney, Kevin W Devore, has represented individuals affected by injury from faulty drugs. His years of experience have provided peace of mind to countless clients.